With two cooks in our kitchen, it is usually a duel between sweet and spicy. While we both cook, I love to bake anything sweet. And my husband has a way higher tolerance for heat than my mild taste buds typically enjoy. Luckily, we can often find a gastronomic middle ground that yields delicious meals that we love to share with friends and family. Enter El Yucateco Hot Sauces. These sauces, known primarily for their habanero heat, also pack a punch of flavor. El Yucateco has plenty of recipes on their website, but we like adding the sauce to change a favorite recipe or to top off a dish. For our quasi-famous Pasilla Meatloaf recipe, we added a few dashes of El Yucateco Black Label Reserve Habanero Hot Sauce to our homemade ketchup. El Yucateco is often associated with habanero, but they also have a jalapeno sauce and a chipotle sauce, both for those not accustomed to too much heat. Then there is the Red Habanero Hot Sauce, which is the most familiar (to me anyway) version of their famous sauce. Mixed with tomatoes and spices, this fiery blend is great for tacos but also for Micheladas and Bloody Marys. 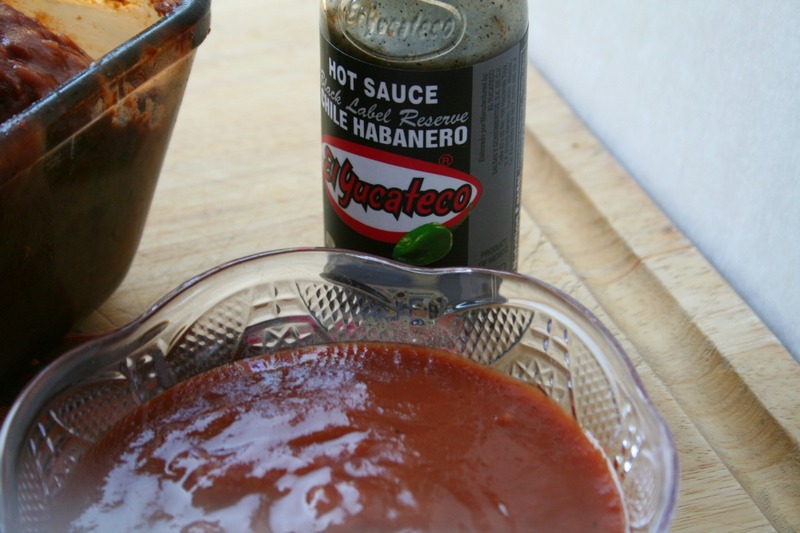 If you are ready for more heat and more flavor, try their Green Habanero Hot Sauce, which can bring your grilled meats and vegetables to life, or to add zing to your favorite guacamole. We recently got a shot to try the new El Yucateco Black Label Reserve Hot Sauce. Dark, thick and full of flavor, this new sauce smells smoky, with hints of herbaceous sweetness, fruity peppers and even molasses. 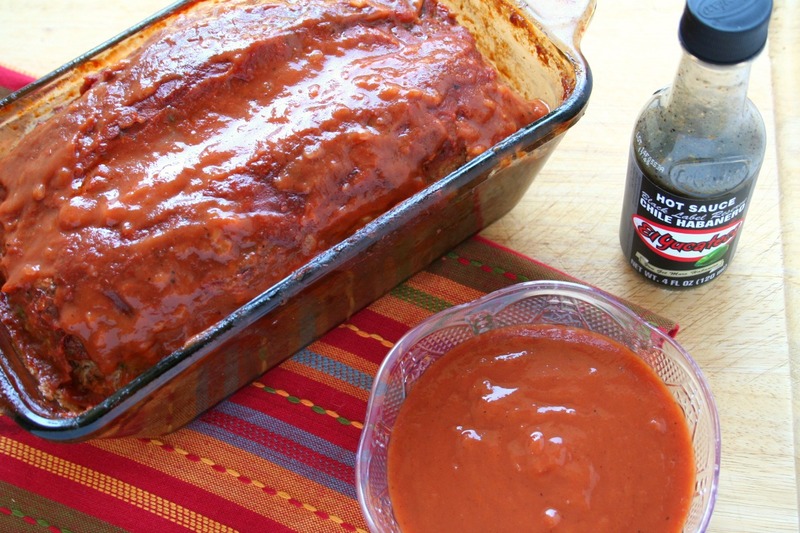 I purchased this sauce at Walmart on a Wednesday and by Thursday it was on my breakfast chilaquiles, lunch burritos and this meatloaf for dinner. We used pasilla peppers, which added some great flavor by roasting them. Check out El Yucateco’s Facebook page for more recipe ideas. We hope you enjoy this recipe with a re-mixed sauce for a hearty and delicious dinner. 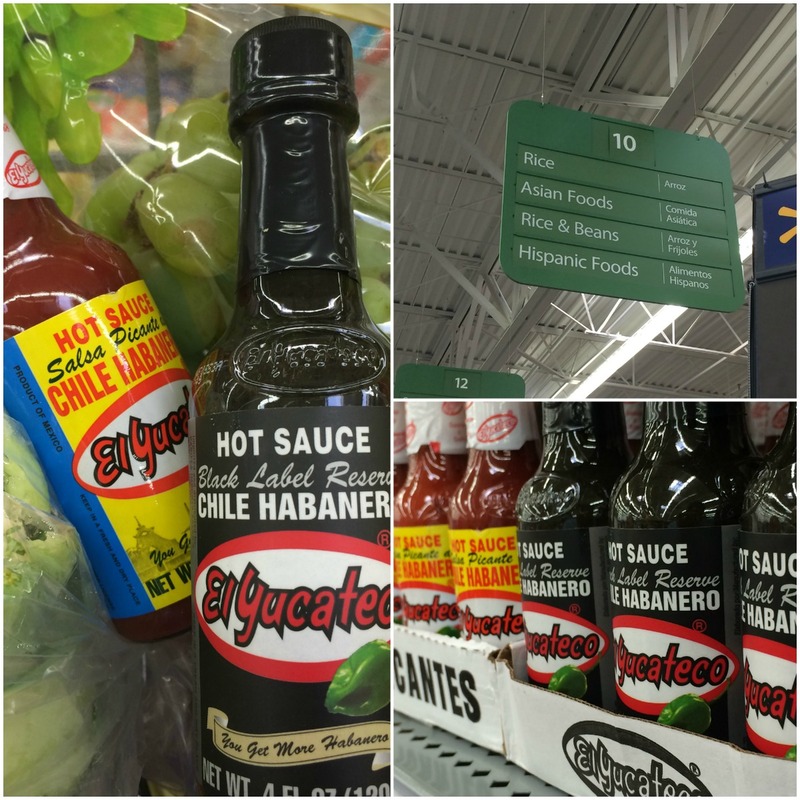 So grab a bottle of El Yucateco Black Label Reserve, available exclusively at Walmart, and get your #SauceOn! 2. 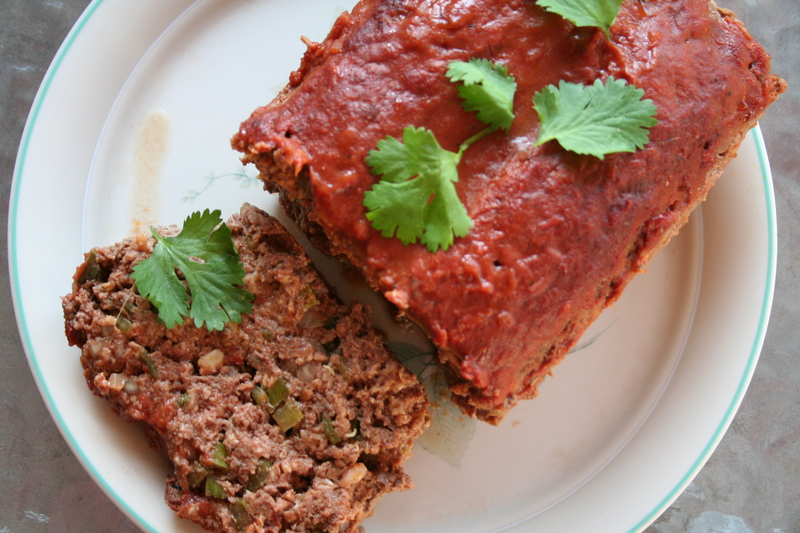 Get your clean hands dirty and combine all the meatloaf ingredients in a large bowl. 3. When fully mixed, place in a 9” x 5” loaf pan. Create a shallow channel along the sides and down the middle to help in draining the grease. 4. Cover with foil and bake for 45 minutes. 5. Meanwhile, make the sauce: Mix the grated onion, mustard, soy sauce, brown sugar, tomato sauce, vinegar and hot sauce in a small saucepan and heat gently, but do not bring to a boil. 6. After the first 45 minutes of baking, drain off any accumulated grease. Spoon over some sauce, about half the sauce. 7. Place the loaf back in the oven and bake uncovered for another 30 minutes. 8. Remove and allow to rest for 10 minutes before serving. Drizzle the extra warm sauce over each serving. If you have little kids, try baking your meatloaf in a muffin tin for smaller portions. Enjoy!